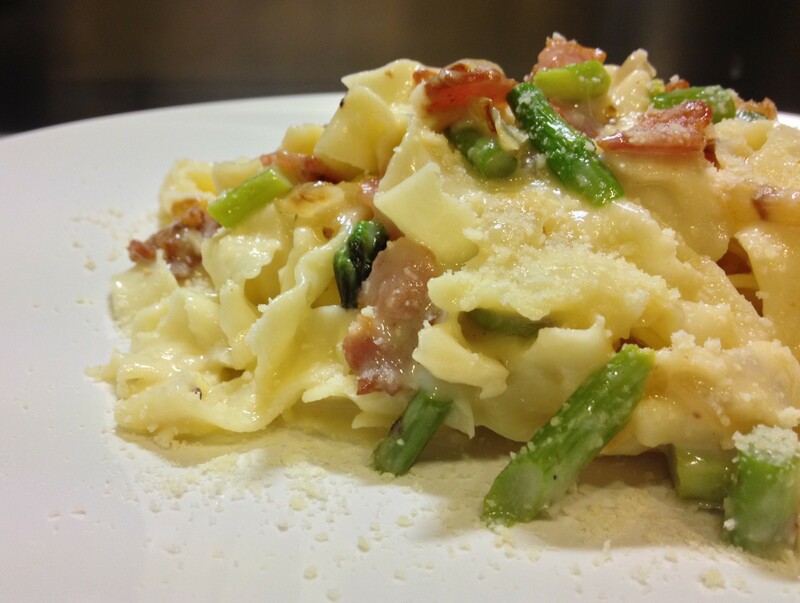 the key to making a great tasting carbonara is to use freshly grated parmigiano reggiano cheese. using the dried pre-grated parmesan cheese does not produce the same result. we know, because we’ve tried it already. also, dried pasta is preferred over fresh handmade pasta because of the constant mixing with the sauce. we used handmade pasta and the strands were broken into small pieces… not good. Ooh thanks for posting this! I’ve tried this recipe twice but from an Italian cookbook. Can you clarify.. Is it the quick tossing of the pasta in the sauce that makes the eggs curdle? I read in a diff recipe that the eggs curdle if the temp of eh pasta is too hot. The second time I made I cooled my fettuccini first and that prevented the sauce from curdling, but then my dish was cold. Ack! cold pasta no good haha! 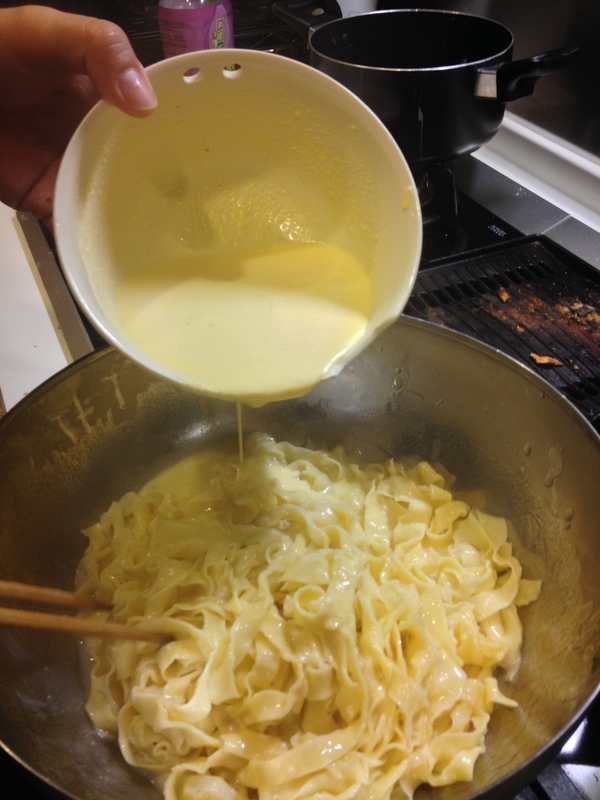 you want to slowly drizzle in the sauce while constantly stirring the hot pasta. this prevents it from curdling. 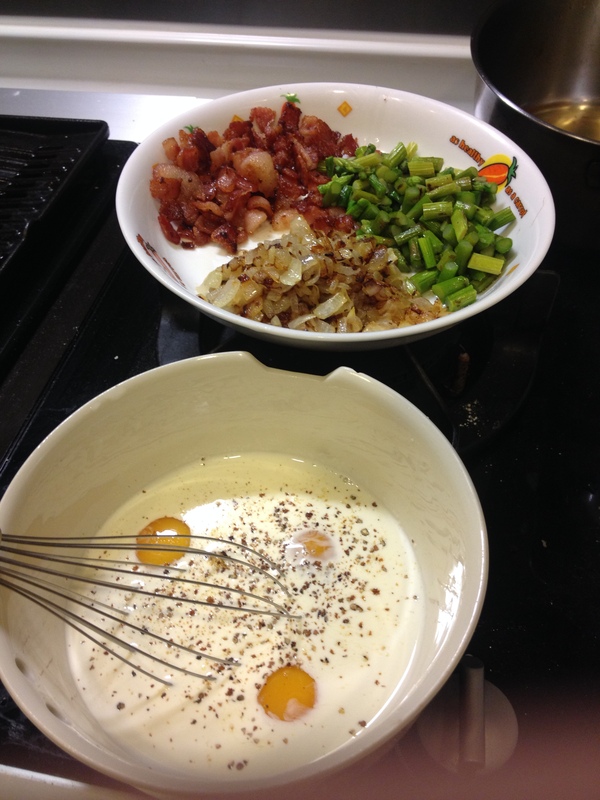 the other thing that might cause it to curdle is you might not have enough cream in the mixture, too much egg.